Tour guides will tell you the citizens of the Czech Republic drink the most beer per capita and it’s easy to understand why. After all this is the country where a German Brewmaster created the beer that made Plsn famous and inspired the most popular “style” on the planet. After making a name for itself producing what are essentially smash beers (“pilsner” malt and hops from Zatec) visitors might be surprised to learn that the country and Prague in particular are now home a diverse range of beer encompassing everything from some of the best lagers in the world to American style IPAs and barrel aged imperial stouts. We first visited Prague in the late 1990s, a time when beer variety took the form of varying strength pale lagers. Budvar and Pilsner Urquell along with a few others offered mostly light colored pilsners differentiated by degrees plato indicating starting gravity. While many breweries still denote differences in their lagers the same way, others (mainly non-traditional craft brewers) are now simply listing beer styles such as IPA, stout, wheat, etc instead. Stay vigilant for Uneticke if you like pilsners and names like Raven, Matuska and Falcon among many others if you are into craft. We also tried some really interesting Russian craft beer you probably wont see outside of Eastern Europe including beers by AF from St Petersburg. A half liter of great pilsner made by small regional breweries was about US $1.50 to $2 while most high quality craft offerings ranged from US $2 to $4 for 0.3L servings. Also keep in mind many bars take reservations so it sometimes appears there are few places to sit, but ask and the servers will often try to accommodate you. Today Prague is home to a very large number of excellent breweries and beer bars producing all kinds of beer and the list below includes some of my favorites. Strahov (B) – One of two Monasteries (along with Brevnov) within easy reach of Old Town that produce their own beer on site. In addition to very high quality light and dark lagers, at the time we were there they also had a very nice Spring lager as well as a solid IPA on tap. Take the tram to Brevnov (see below) then back track to Strahov before wandering down towards the castle and the hoards of tourists as you near the river. Brevnov (B) – The other Monastery brewery mentioned above normally attracts fewer tourists but also serves very solid largers as well as ales. Wander around the beautiful grounds before moving on. U Hrocha (B) – If you find yourself near the castle and want an authentic pub this certainly fits the bill, although seating is very limited and they only serve Pilnes Urquell. U Tri Ruzi (B) – Multi level brewpub that somehow isn’t usually inundated with tourists serving traditional food and several well made lagers and occasional seasonal such as a Belgian strong dark while we were there. U Kunstatu (P) – Somewhat pricey beer bar with flights of both draft and also craft bottles. Visit the ancient basement. U Zlateho Tigre (P) – Nostalgic Pilsner Urquell bar located right in the middle of things and near the two places listed above. Sit down and they will bring fresh PU until you scream for them to stop. Lod Pivovar (B) –A brewpub on a boat moored at the North end of Old Town serving four or five varied lagers and a full menu. Pivovar Hostomicke (B/P) – Small outlet for Hostomicke beers made by the brewery located outside of the city. They serve three beers, two pale lagers and a dark lager. Escape the tourists crowds and enjoy some of the (subjectively) best lagers in the country. U Supa (B) – Very touristy and surprisingly modern given its history. The beer was good but not outstanding. T-Anker (P) – Head to the top of a soviet era department store for some of the best views of Prague to be had while sipping local craft beer. Prague Beer Museum (P) – Not the one in the tourist center that’s a rip off, this one is near the river. Decent number of taps but only a few are rotating. Attracts a fair number of tourists. U Medvidku (B) – Expansive brewpub with a labyrinth like layout serving Budvar beers as well as their own. Their own beer can be inconsistent – on one visit both the dark lager had pronounced acetaldehyde issues while on another visit several weeks later both the light and dark lagers were spot on with no perceived flaws. U Fleku (B) – Probably the most renowned tourist attracting brewpub in the city serving one beer, a dark lager. Beer and food can be pricey here and watch out for the waiters who will push you to buy Becherovka and Mead shots that cost more than the half liters of beer. Also noted one tried to charge us for an extra beer on one visit. Pivovar DUM (B)- One of the oldest craft brewpubs in the city that will remind America visitors of TGI Fridays, although the beers are good and often inventive. Try the green nettle beer. Illegal Beer (P) – Small craft beer bar with a large number of taps as well as a modest bottle selection. Closed Sundays. Craft House (P) – Very small hole in the wall with a solid but modest tap list of mainly local craft beer. Mrtva Ryba (P) – Student bar with several mainstays on draft and often 3 rotating taps along with a good selection of distilled spirits at affordable prices. U Sumavy (P) – Great locals place with a good selection of Czech beers including many you wont see elsewhere along with traditional food in an authentic setting. Kulovy Blesk (P) – Make a reservation if you want to eat. Good selection with lots of local breweries represented in an interesting space with a closed in patio. 20 PIP (P) – Really well done beer bar with 21 taps plus bottles on two floors. Seems to attract a lot of Russians. Maly/Velky (P) – Chill hole in the wall basement bar with about 8 rotating taps and a curated bottle selection with a few interesting finds. 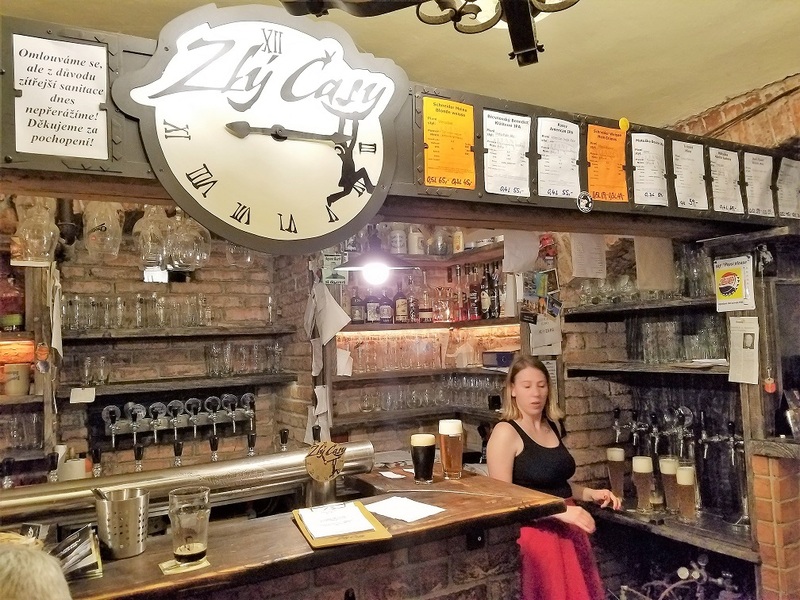 Zly Casy (P) – One of the first and still one of the best beer bars in town with several bars all serving different beers. They often have Uneticke 12, which many consider one of the best pilsners being produced today. Off tram 11 line which makes it convenient for a pub crawl that includes tramway. U Cerife (P) – Traditional pub near Beergeek that is one of the last serving Kout na Sumave (sometimes). 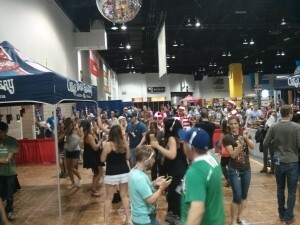 Beergeek (P/B) – Fantastic beer bar with knowledgeable servers that can get quite busy on the weekends for good reason. Look for the Siberian line of craft beer made by the owners. Beergeek Bottle Shop (P) – Near the bar listed above carrying one of the best selection of bottles in town along with a few draft selections. There is a “raging” debate going on across the pond among CAMRA members (along with many non-members) regarding what is to become of the stodgy institution initially tasked with saving real ale in the UK back in the 1970s. Although the organization saw its membership climb in the last decade to roughly 185,000 members it struggled to find a purpose as the number of new breweries in the country skyrocketed. Members started to clamor for kegged beers and more ciders at festivals. Breweries ridiculed the rigid enforcement of their cask-only stance when it came to local production. 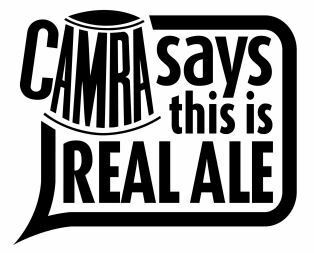 All of this came to a head as CAMRA (Campaign for Real Ale) undertook a Revitalisation Project to examine what the organization should stand for and where it should direct its efforts moving forward. Although the findings suggested some changes and admitted it was a somewhat antiquated, ultimately upon receiving member survey results the study concluded its “core focus should not change”. For a look at the most recent document see https://s3-eu-west-1.amazonaws.com/rp2016/Survey+3+results+analysis.pdf. Roughly 90% of those that responded to the survey were aged 40 or older which probably explains why there was a slight majority in favor of maintaining the course when it comes to the organizations focus, but surprisingly most also agreed it was time to allow non-cask beer made in the UK into festivals in a larger way. There was also more consensus in promoting bars that serve quality beer but might not serve cask into guidebooks etc. Into the looming fray Bradley Cummings, Managing Director of award willing brewer Tiny Rebel in Wales threw in his hat to run for CAMRA’s National Executive. You can see his manifesto here https://drive.google.com/file/d/14S-kZzo-uNYYX-1dsJPZnQhUwcIpDytg/view. Basically Mr. Cummings contends the proposals do not go far enough, quickly enough and caters to a vocal minority within the membership – a salient point given the stated demographics. I won’t go into detail but if you are interested in the proposals check it out. Since no one reads this I will throw out my concerns as a vocal outsider and sporadic CAMRA member. The craft beer revolution happening in the UK is nothing new to those of us that live in the US. I’ve been drinking crazy hopped DIPAs, flavored barrel aged stouts, and fruited wild sours for more than two decades. Many markets in the US might be legitimately labeled as saturated. I can see the same thing happening in the UK. The excitement for the next cloudy IPA or kiwi berliner weisse is real and there is nothing wrong with that. Personally I still enjoy trying new beers, especially sours and heavy stouts. My only concern, one that I have maintained for many years, has focused on the preservation of a British brewing tradition that could fall victim to the success of an industry it helped revitalize through CAMRA. I could draw a comparison to what is happening in Germany which is undergoing a similar but comparatively slower growth spurt in the craft market. Do we want to supplant the Andechs and Schlenkerla’s of the world and relegate their stodgy old offerings to the history books? We hope to return to GBBF this year after a three year absence, but I remember clearly the last time there we noticed there were far fewer old established breweries attending and a lot of the offerings deviated from standard beer styles by including various adjuncts or a large amount of American hops etc. One of the reasons I want to go back is to see if this trend continues. As for CAMRA perhaps it does need a complete overhaul. I don’t know if it should be called CAMRA at that point, but maybe CAMBER Campaign for Quality Beer. Regardless I hope they keep a subgroup that does remain focused on the preservation of quality real ale made using traditional ingredients and served by traditional means. Who knows, after a couple decades of drinking extraordinary craft offerings the imbibing public might find they want a well made pint of bitter. Craft beer markets in the US will finally reach a saturation point as supply exceeds demand – duh, some of us have been saying this would happen for years. Now other pundits are finally chiming in when they can see the flaming 747 heading towards them. Only, we know it won’t be a clear cut apocalypse. Just as we suggested using more mature beer markets such as Portland, Denver and San Diego as examples as to how saturation develops, the level of saturation will vary greatly by geographic region. A short trip across the US Southeast late last year reminded me of how disparate each market really is. Aside from a few standouts, major metropolitan areas in places like Alabama, Mississippi, Tennessee and Kentucky are all at a stage of development similar to most of those in Texas one or two years ago (or for that matter where Portland was ten years ago J). So in other words if you are in places like California, Oregon, Washington, Colorado or Texas and you make beer to sell off site things are probably already getting difficult – there are just too many brands competing for a finite number of taps. In less developed states like Alabama watch for a large distribution oriented push and less relative competition in the near term (although your time is coming). In desperation many distribution oriented micros experiment with different styles and serving techniques. We’ve already seen large companies like Sam Adam who’s sales stalled a couple years ago delve into a nitro can line and more will follow in an attempt to be different and capture niche market share. Breweries looking at expansion decide to call off their plans to do so. It happens all of the time in the manufacturing sector when the economic landscape changes and while some breweries don’t seem to pay much attention to forecasting others might take a more conservative approach. Breweries with excess capacity will solicit contract brewing opportunities. Again, something we predicted and has already started in earnest among many breweries that just aren’t selling enough of their own product to keep their expensive brewery busy. TGI Friday brand Pale Ale? Why not, you’ve seen Landshark right? Brewpubs that ventured into distribution will pull back resources to focus on their taprooms. IN Colorado Twisted Pine already did it. In Texas the smart people at Jester King realized long ago it was better to make less, charge more and sell it out the door (sounds like a rhyming mantra everyone should memorize). When selling kegs through a distributor or even direct to a bar becomes highly competitive in terms of price and effort companies will realize their chances at survival improve when focused on selling beer on site. Beer industry personnel will flood the market. A lot of people are enticed into making their living in the beer industry because it seems like a lot of fun. In reality it’s often underpaid work involving long hours and being around beer when beer is the last thing you want to be around. I’ve met a lot of people in the industry and they are some of the best people know, but I am equally sure some would be making a better living applying their skills doing something completely different. Unfortunately if the markets within which they work reach a saturation point many will have to transition by necessity. It might come as a mixed blessing to beer snobs but it is less likely gigantic conglomerates like AB Inbev and MillerCoors are still interested in your regional brewery. There might still be a few acquisitions in the making but to be honest the big guys employ very smart people that realize they don’t need that many bands to dominate a given market once a saturation point is reached. They will however remain more profitable due to their economy of scale and relative buying power so it is conceivable some smaller independent craft breweries could decide to combine in an attempt to improve their relative economics with regard to raw material buying power or even distribution costs (by brewing each other’s brands in different parts of the country etc). We’ve already seen some of this. Post saturation brewpubs will benefit from a niche. The trend lately seems to be a build out focusing on modern interiors with industrial fixtures, exposed brick or wood, open seating and eclectic art with perhaps some old neon thrown in. Once you have been to three or four they start to lose their own identity. I’m not saying we need to go back in time and resurrect Superhero themed restaurants with wait staff dressed as Batman and Wonder Woman, but when so many people hire the same designers to fashion a brewpub it gets monotonous. Those that are creative and think outside the box will probably fare better by comparison. At least they will stand out among the multitude of industrial boxes. Anyway, those are my hastily scribbled stream of consciousness predictions for 2017. Enjoy, the one or two of you reading this. 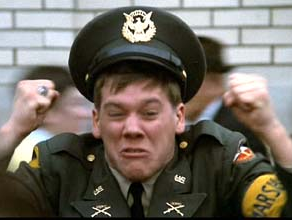 There are now more breweries operating in the US than at any time in history and the number continues to grow into uncharted territory (PS don’t listen to the cheerleaders that claim all is well – they are the Kevin Bacon character in Animal House that gets trampled at the end). How many people do you know working on opening their own brewery? Imports are also growing as new craft brewers startup overseas and established brands start to export to the US – where will all of these new brands go? Regional breweries are entering into out of state distribution deals – why give way margin if you can sell it locally? Remember stories like this – http://beerpulse.com/2011/04/avery-brewing-exits-eight-states-seven-partial-markets/? Now we have companies like Avery (with bigger plants) not only back in markets they once exited but eager to find new markets even if that means giving away more due to freight costs. There are more signs foreshadowing the great US beer apocalypse, but it’s not all doom and gloom. Consumers should rejoice as the fallout should (in theory) weed out producers of subjectively “bad” beer, the only caveat to that being sometimes those with the most marketing dollars are the ones inexplicably left standing. Let’s make sure that doesn’t happen however by introducing your friends to good beer and teaching them about off-flavors – the future is in your hands. 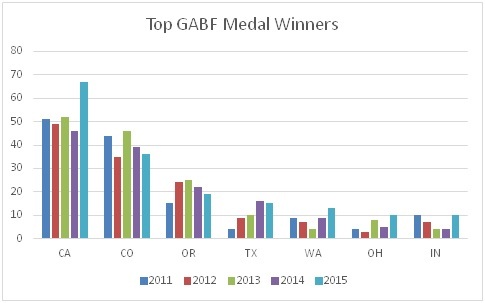 After roughly a decade of attending GABF the event continues to change, so I thought I would jot down a few of my thoughts before they begin to fade. First, despite expanding into a side hall GABF continues to burst at the seams, and with an increased ticket limit there was a bigger crowd. Maybe the idea looks good on paper, but when a huge percentage (now larger) wants to stand in lines for Dogfish or Wicked Weed, or frequent popular areas like the region hosting Southern California, then the masses become harder to navigate. There were some incredible new breweries at the festival, but the concept of allowing any brewery that gets their opportunity to enter and serve is woefully outdated. 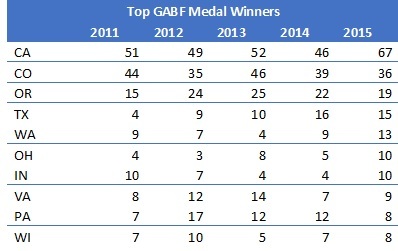 In the last few years as the number of booths increased so has the number of objectively bad beers being served. This was the second year in a row a brewery served a sour heavy with butyric acid (imagine soiled baby diaper). Walking around was a lesson in off-flavors at times. I believe I poured out more samples this year than I drank to be honest. 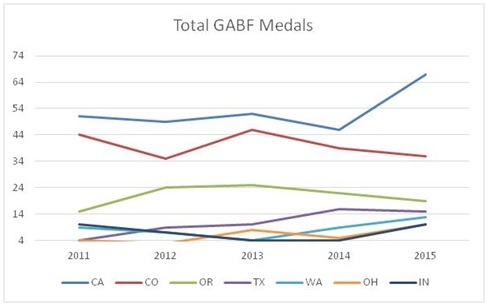 I am still not sure why the Brewers Association doesn’t consider hosting small regional qualifying competitions across the US that then feed into the GABF making it a showcase for the best beers in America? It seems they would make more money and retain a legitimate way to keep the numbers under control.